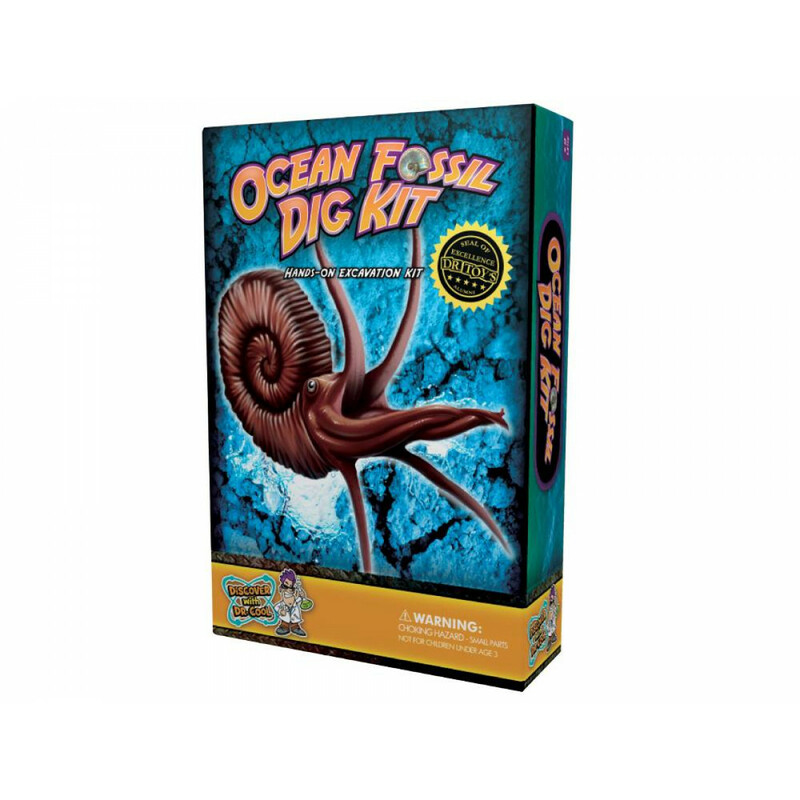 Excavate 3 genuine fossil specimens just like a real paleontologist with this incredible hands-on science kit! 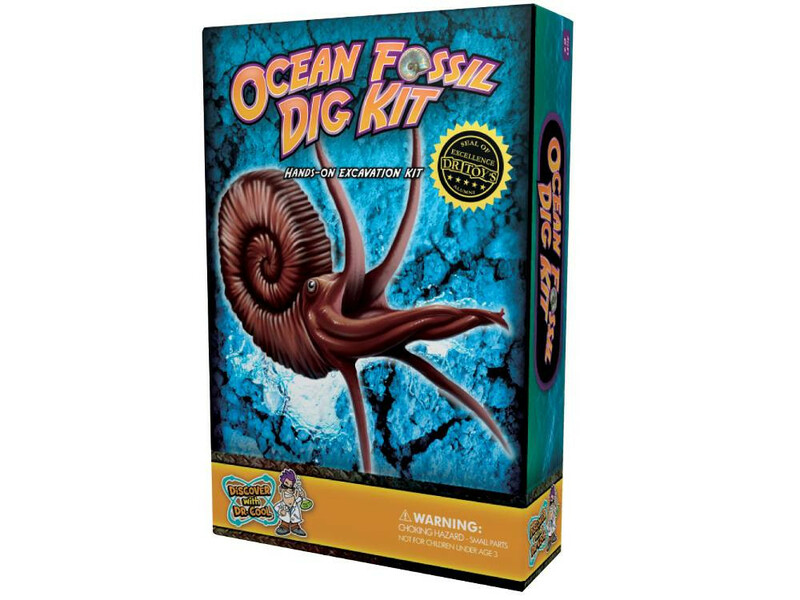 Buried inside the Ammonite shaped digging brick your paleontologist will uncover a real sliced and polished Ammonite, a clam fossil and a gastropod specimen. These 3 genuine specimens are each millions of years old! 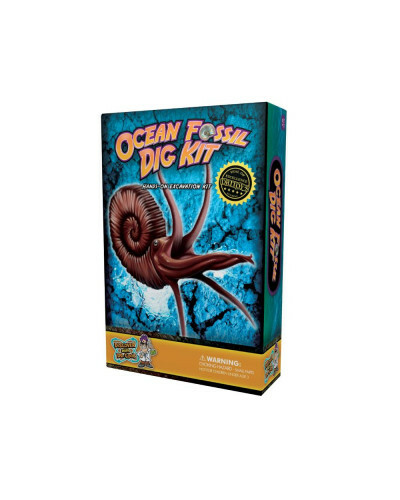 This hands-on dig kit includes an excavation tool, brush, magnifying glass, and a full-color information guide so that you can learn all about the ocean fossil specimens you'll find in this kit.